Last June, Facebook launched its photo-sharing Moments app in the US and several other countries, but it was withheld in those areas where the software’s facial recognition technology violated local data privacy laws. 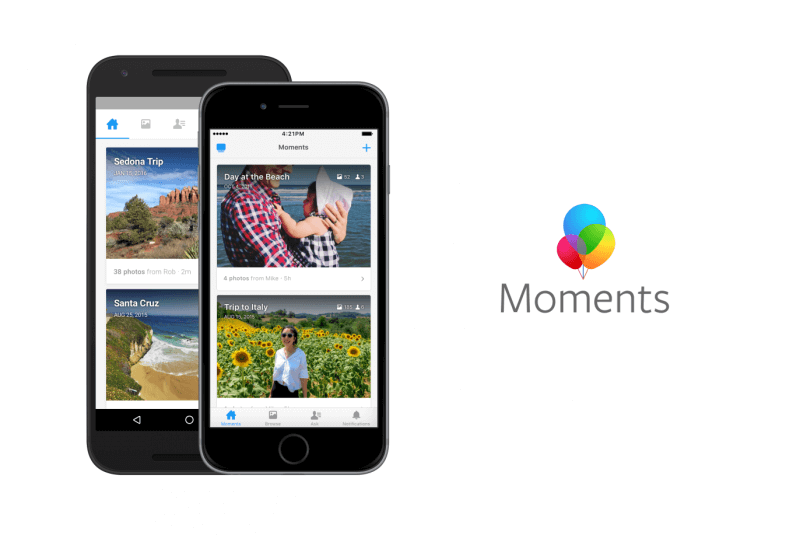 Now, Moments is available worldwide, after the company released modified versions in the EU and Canada. Moments automatically groups together photos by people and places. It uses facial recognition to identify who’s in each picture to make sharing and organizing them easier. From a set of photos taken at a wedding, for example, it can pick out those images featuring the bride and groom so users can share them. Facebook shut down the social network's facial recognition feature, which tries to identify friends in photos and suggests their names for tagging, in Europe back in 2012 following privacy complaints from users. Data protection watchdogs in the EU and Canada feared that people wouldn’t be able to opt out of the similar feature found in Moments, which is why the app hasn’t been available until now. The redesigned version doesn’t store biometric data; instead, it asks users to manually identify individuals in a photo, and then groups together multiple images that “appear to include the same face.” Rather than using facial recognition, Facebook says this system uses a form of object recognition that looks for identifiers such as the distance between a person’s eyes and ears. As you can imagine, this method isn’t as accurate as the system used in the US, but at least it means residents of Europe and Canada will get to use Moments, even if it is a slightly downgraded version. It isn’t just outside of the US where Facebook’s photo recognition technology is encountering legal challenges. The company is facing a civil suit in San Francisco accusing it of “unlawfully” collecting and storing users’ biometric data. It recently had a motion to dismiss denied by the trial judge.